Graeme Pearman was trained as a biologist at the University of Western Australia and joined CSIRO in 1971 where he was Chief of Atmospheric Research, 1992–2002. He contributed over 150 scientific journal papers primarily on aspects of the global carbon budget. In 2004 he left CSIRO to run his own company, consulting for both the private and public sectors. He is an Adjunct Senior Research Fellow at Monash University. Dr Pearman was elected to Fellowship of the Australian Academy of Science (1988), the Royal Society of Victoria (1997) and the Australian Academy of Technological Sciences and Engineering (2005). 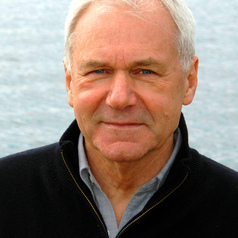 He was awarded the CSIRO Medal (1988), a United Nation’s Environment Program Global 500 Award (1989), Australian Medal of the Order of Australia (1999) and a Federation Medal (2003). He was science adviser to the Hon Al Gore during his visits to Australia in 2006 and 2007 and personally completed over 300 briefings on climate-change science in the past 5 years to companies, governments, peak industry bodies and public fora. He is on the Boards of START International (Washington), and the Climate Institute (Sydney), and the science advisory panels of the Greenfleet Australia, RMIT Global Cities Institute, the South East Australian Climate Initiative, the National Climate Change Adaptation Research Fund and the Marine Biodiversity and Fisheries Adaptation Research Program. His current interests include holistic/resilient strategies for energy futures, transport technologies, human behaviour in the climate-change issue and the role of science in modern societies. He is married with 2 children and 2 grandchildren.